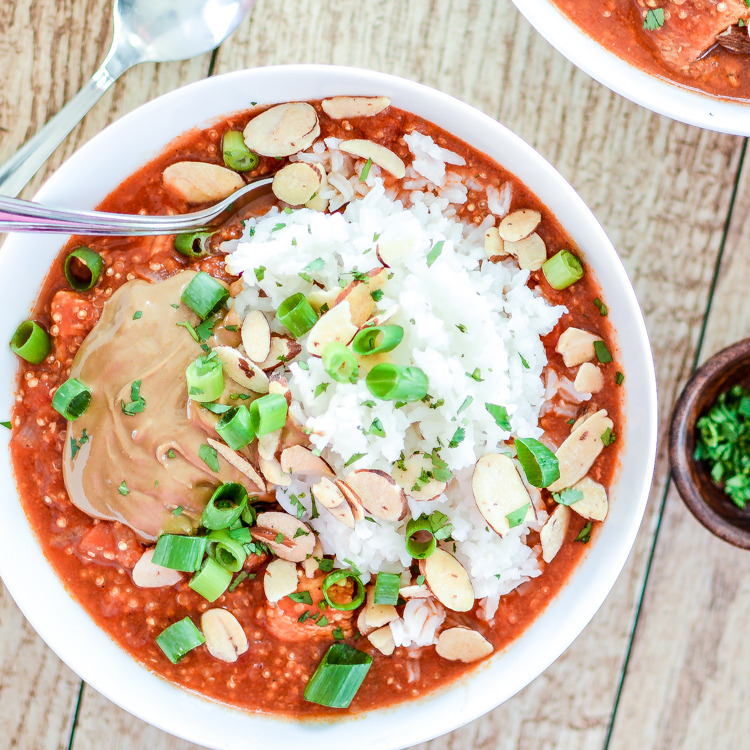 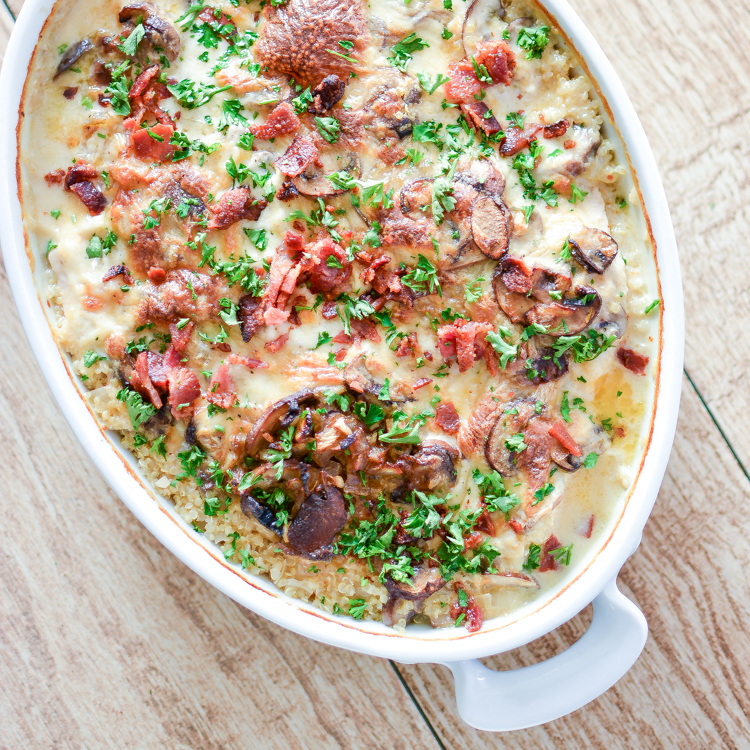 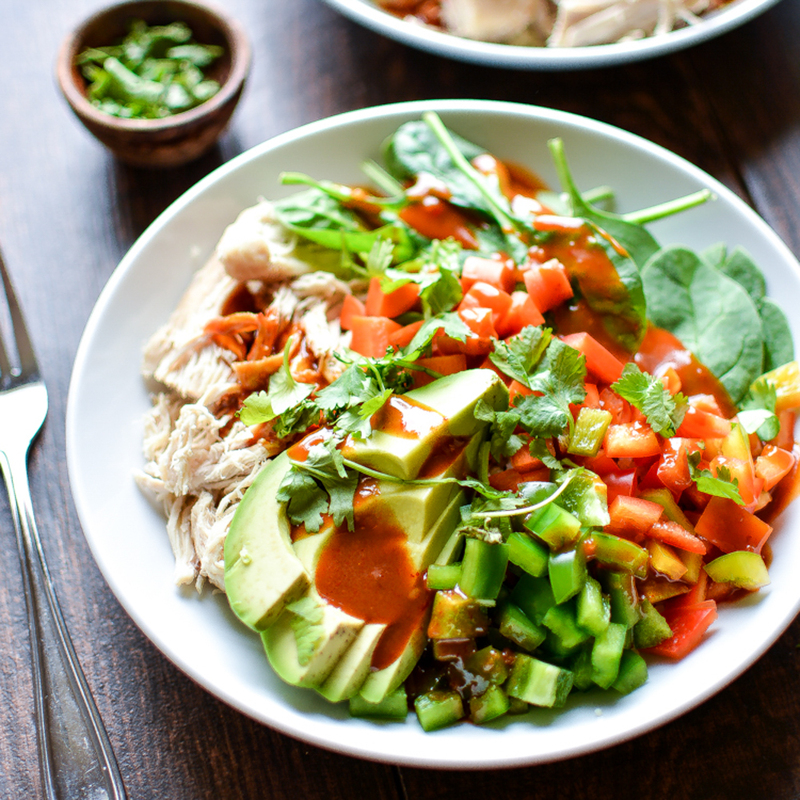 Almond Chicken Quinoa Curry Bowls is a weeknight dinner recipe to get excited about! 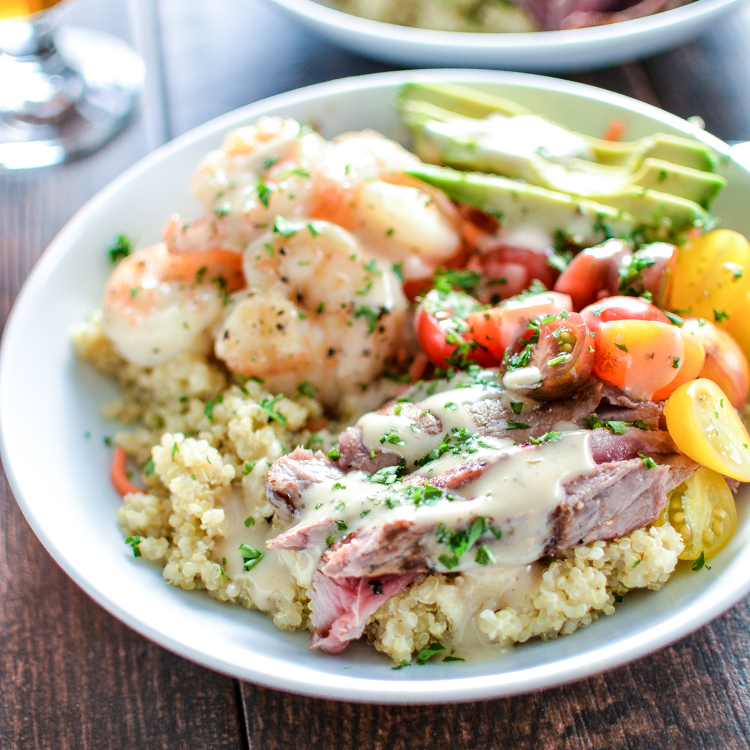 Surf and Turf Quinoa Bowls with Roasted Garlic Vinaigrette are a quick and easy weeknight dinner solution! 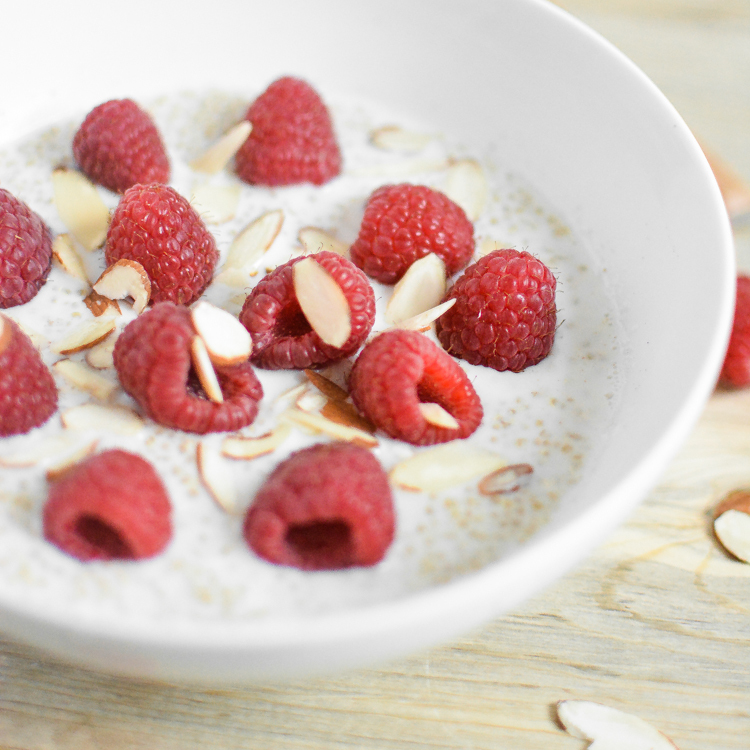 Raspberry Vanilla Almond Breakfast Quinoa is the perfect healthy start to the day!